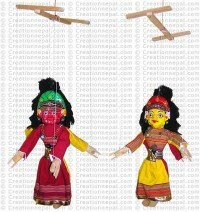 Nepalese string puppets and dolls are considered as popular souvenir items among the visitors to Nepal before they are introduced by different media to promote them. 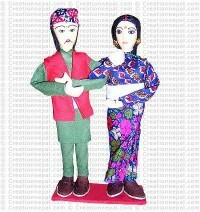 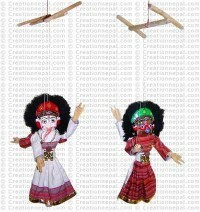 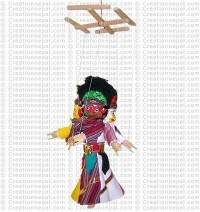 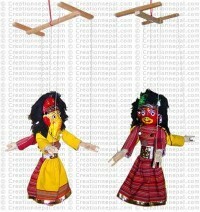 Creation Nepal offer these puppets and dolls aiming to introduce the reflection of Nepalese culture, dress and lifestyles on them which are also used in ceremonial and religious festivals and rituals as well. 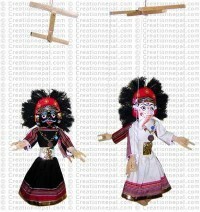 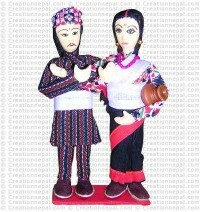 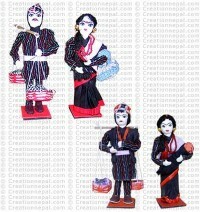 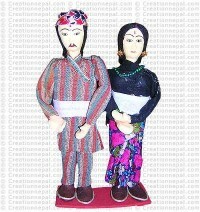 The puppets are available in different sizes, colors and costumes of various ethnic groups like Newari, Maithili, Jyapu, Sherpa etc. 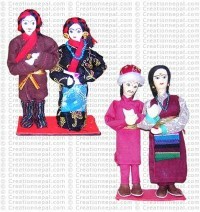 from Nepal. 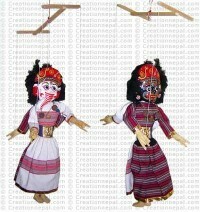 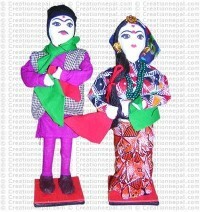 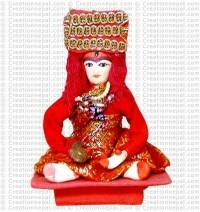 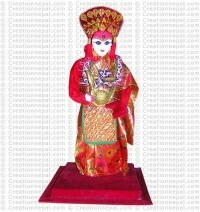 These puppets are made of wood, cotton/ clay, nylon fiber, cotton thread etc. 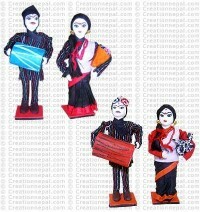 and painted and well dressed. 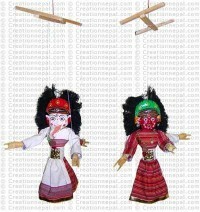 Besides the culture reflecting puppets, we also offer varieties of handmade modern dolls/ toys (different animals) made by the Nepalese women.